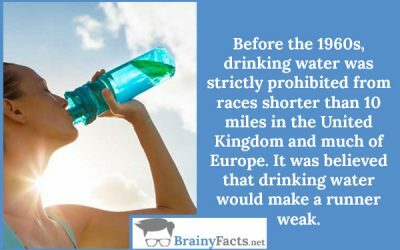 Sport Facts | Did you know ?! A woman’s breasts move the same amount whether she runs fast or slowly. Their breasts don’t just move up and down; they move in a complex figure-eight pattern, with about 6 inches of motion with each stride. Hey, sports fan! Obviously, there are plenty of things you probably don’t know about the less popular sports out there. Fun facts about the Olympics, sports superstitions, baseball, basketball, football, soccer, hockey, gymnastics, women in sports, and much much more. The most powerful computers on earth cannot generate the number of computations it takes to run on two legs.